AirSave Travel Coin - Save, Earn Crypto Travel Rewards! AirSave Travel Coin – Save, Earn Crypto Travel Rewards! AirSave Travel is a social saving platform that helps people to save and earn from their trips. AirSave Travel is developed using blockchain technology, which makes it a decentralized travel platform. The goal of AirSave Travel is that everyone can save and get rewards from their trips. And AirSave Travel Coin (AST) is fuel for AirSave Travel! Tourism, one of the world’s largest industries with a market value of over $2.3 trillion in 2016 alone, was one of the first to be dramatically transformed by the internet. This is not surprising, in fact, many travel agents offer their services at affordable prices and access to various tourist destinations which are now easier. Today many travels and tourist services offer loyalty programs to their users to attract customers. With this program, users will have the opportunity to get rewards from their trip. But in reality, this program often makes it difficult for users, for example when users cannot redeem the points they have collected. This is because the system is not transparent and centralized. A centralized and non-transparent system is a technology that is outdated and needs to be replaced with a new one. Here is the role of the blockchain, a decentralized and transparent system that can revolutionize the travel and tourist markets. And AirSave Travel is built on this technology. AirSave Travel is a social saving platform that allows people to save and earn from their trips. To use this service, users are only asked to use Airsave Travel Coin (ASTC). By using ASTC, users have the opportunity to save and earn. Even users have the opportunity to get free trips from AirSave Travel. 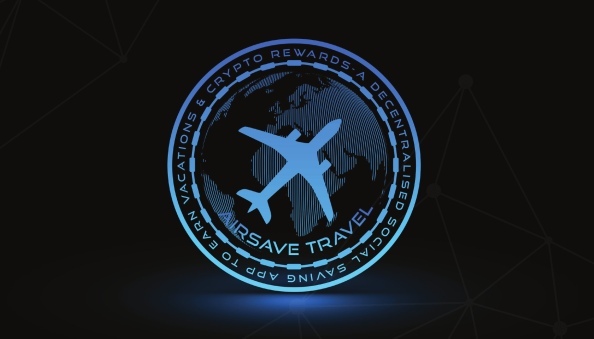 AirSave Travel is designed using blockchain technology, which by using this technology user will get decentralization, transparency, privacy and cost efficiency. But why is the blockchain? this technology offers a decentralized, trustworthy exchange, durability, transparent, immutable and so on, which makes it a highly reliable technology. An exciting feature of AirSave Travel platform is the fact that it is free to use. Users can save a real £20 (or equivalent in ASTC) to earn a real £5 (or its equivalent in Bitcoin) every month, for each friend who saves for real too. Airsave Travel’s platform allows users to reap the rewards for referring friends. The platform is designed to allow users to track their monthly savings and earnings in real time on the DApp – in real money and Airsave Miles. Users can redeem their savings and earnings every four months in TASH Tokens, or up to 80% in Bitcoin (and 20% TASH Tokens). The fixed monthly subscription fee is £20 in fiat currency or its equivalent in ASTC. Users have the option to pay £20 in fiat /ASTC on a monthly basis or £80 in fiat/ASTC every four months. AirSave Travel token is based on the ERC20 token, which is also referred to as the Ethereum token standard. This token functions like fuel, which supports the platform. Airsave Travel is a social saving DApp which helps users save and earn for trips with friends. Users save via the DApp with Airsave Travel Coin (ASTC) to earn TASH travel tokens to work towards funding free, decentralized travel – by referring friends and trading ASTC for a profit. The centralized version of Airsave Travel has traction and is available on the App Store since 2017.